The future of marketing and market research depends on technology. From maintaining a blog to displaying products in a virtual reality and using big data for prediction, technology will guide how marketing changes. Let’s look toward the horizon and see what the future holds. It’s baffling how many companies lack a blog or do not update it on a regular basis. Consistent blog posting and helpful posts result in 67 percent more leads compared to companies that don’t maintain a blog. The problem that many companies face is actually hiring someone to write the blog. Training and retaining an employee can be costly; With workforce size influencing employment cost of each worker, even a company with 20 to 49 employees sees an average employment cost of $40,165 per worker. Instead of budgeting for a full-time employee, it’s becoming much easier to hire a freelancer or content marketing company. Freelancers tend to already have the training and are cheaper to retain than a full-time, in-office employee. You should still do your research, as all freelancers are not made equal, but the trend is to outsource your blog posts in order to save on expenses. While blog posts can do a lot to increase a brand’s message, user experience and engagement improves across all devices with video. Videos are better for SEO, improving your ranking in searches and getting your name out. Customers emotionally engage better with images than words. If your company sells a product, a video demonstration is much better than simply describing the product. A video software tutorial, for example, will be much better marketing than just having text alone. Text and video combined in an easy-to-follow format are more likely to go viral in a niche, greatly increasing brand awareness. In the future, videos will evolve even further. Imagine being able to interact with a virtual version of a product using a VR headset. This is something that will appeal to those who prefer in-store shopping instead of online shopping, with 56 percent of people wanting to see and touch things before buying. Customers can virtually attend demonstrations. 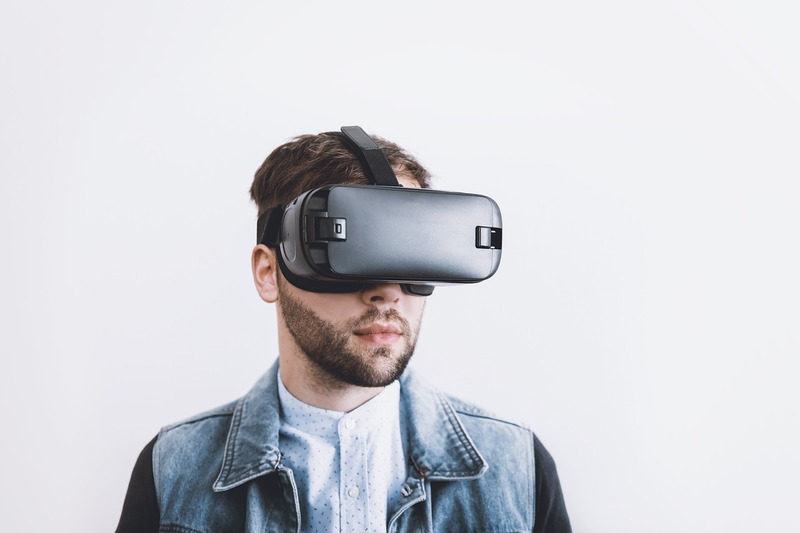 Even today, companies are investing in virtual reality store simulation, with Rutgers University reporting between a typical company may spend anywhere from $30,000 and $1 million to use VR in a store simulation for market research. One interesting market research technique Rutgers found was using virtual reality to create an interactive store shelf, mimicking a real-life store. The customers could pick the virtual products up off the shelf, examine them, and put them in a virtual shopping cart or back on the shelf. Combine this with eye tracking, and you can get far better research than by just letting a customer loose in a real store. The Rutgers study found that initial cost is high for using VR for store simulations, but will save in the long run over investing in an actual store for testing. Tests were also more efficient compared to real-world field tests. Continuing the VR example above, you can add in eye-tracking software to get a heat map of what, exactly, caught the eye of the customer. Do this enough times, and you can have a database of information to pull from. Combine with product viewing time, how the customer navigates the store, product choice and factors for those choices, and you have enough big data to make predictions. Predictive analytics allow you to explore behavioral data on a large scale, identify trends so you can make decisions about where to put certain items in a store, how well customers respond to certain packaging, and more. It cuts back on guesswork, greatly enhancing your market research with solid information that can inform what actions you need to take to increase sales. From there, you can make customer-focused marketing campaigns, drawing upon the data to target specific needs. Analyze trends and you will have a winning campaign idea. Avery Philips contributed to this piece.